New Delhi: Putting economic growth revival in the spotlight, Prime Minister Narendra Modi on Monday reconstituted the Economic Advisory Council under the chairmanship of NITI Aayog member Bibek Debroy. The move, which comes in the backdrop of increasing concerns over weakening GDP growth momentum, signals that the prime minister will be closely scrutinizing future economic policy. The Prime Minister’s Economic Advisory Council (PMEAC) is an independent body designed to guide the government on policy decisions. The government has drafted economists Surjit Bhalla, Rathin Roy and Ashima Goyal, all of whom are part-time members, with Ratan Watal, principal adviser, NITI Aayog, as the member-secretary. The sweeping terms of reference of the EAC include addressing macroeconomic concerns and undertaking any assignment the prime minister may refer to it. After coming to power in 2014, the National Democratic Alliance (NDA) disbanded the PMEAC, which was earlier headed by former Reserve Bank of India governor C. Rangarajan. The apex body has been reconstituted at a time when the government is considering a more aggressive fiscal push in Union Budget 2018, likely to be presented on 1 February. “The intention behind the advisory council is to help in reviving the economy since growth stagnation is a serious issue. What is important for the government is to clearly distinguish the role of NITI Aayog, economic advisory council and the chief economic adviser," said Madan Sabnavis, chief economist at CARE Ratings Ltd. The revival of the PMEAC signals the government’s effort to tap economists for new ideas on the economy. Recently, the government inducted Rajiv Kumar, former economic adviser in the finance ministry, as the chairman of NITI Aayog. Last week, it extended the tenure of Arvind Subramanian, known for his out-of-the-box ideas, as chief economic adviser by a year. “We need a dedicated team which can work on core issues since a lot of structural changes are taking place in the economy. 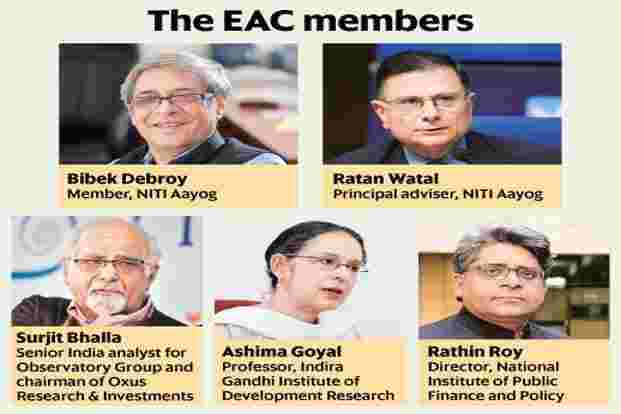 The economic advisory council will help in certain policy issues, especially in boosting the economy looking at current slowdown," said a Mumbai-based economist on condition of anonymity. Finance minister Arun Jaitley said last week that his ministry would soon announce measures to revive economic growth that decelerated to 5.7%, the slowest pace in three years, in the quarter ended June. There has been speculation that the revival package could include incentives for exporters, fiscal sops and investments in large infrastructure projects. The slowing of GDP growth in the June quarter triggered concerns, especially regarding flagging consumer demand. The Indian economy faces “serious downside risks" as the government’s demonetisation drive, implementation of the goods and services tax (GST) and corporate debt reduction efforts could accelerate a slowdown and make recovery difficult, the United Nations Conference on Trade and Development said in a report earlier this month.